24 cu. 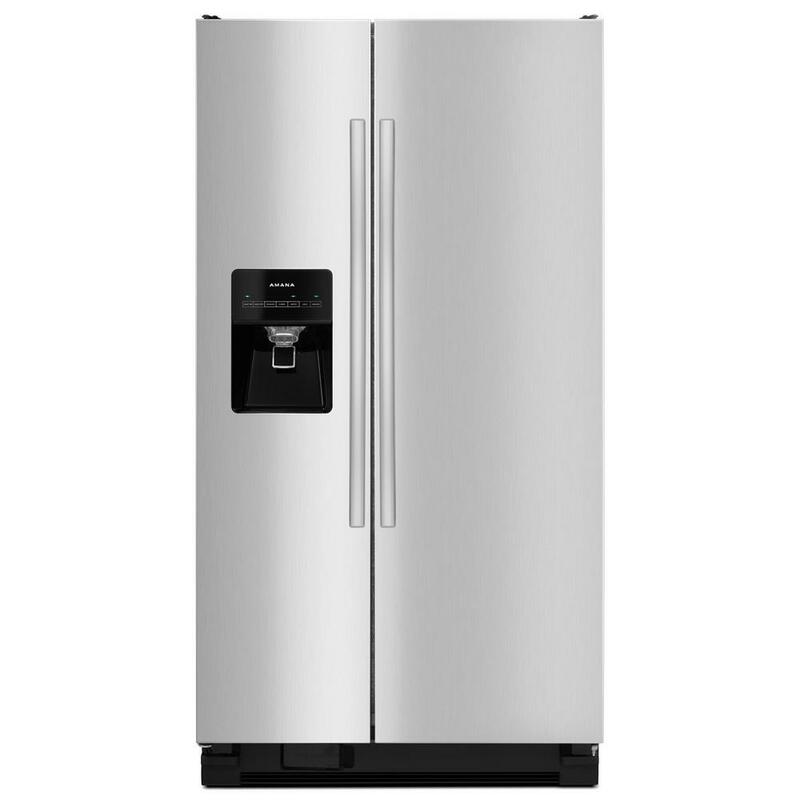 ft. Capacity, 35.5-inch Amana® Side-by-Side Refrigerator makes food storage simple. The convenient Dairy Center keeps butter within reach, while our Adjustable Door Bins move up or down to let you easily store favorites. Plus, grab your H2O and go with the External Ice and Water Dispenser and quickly clean up spills with SpillSaver™ Glass Shelves.